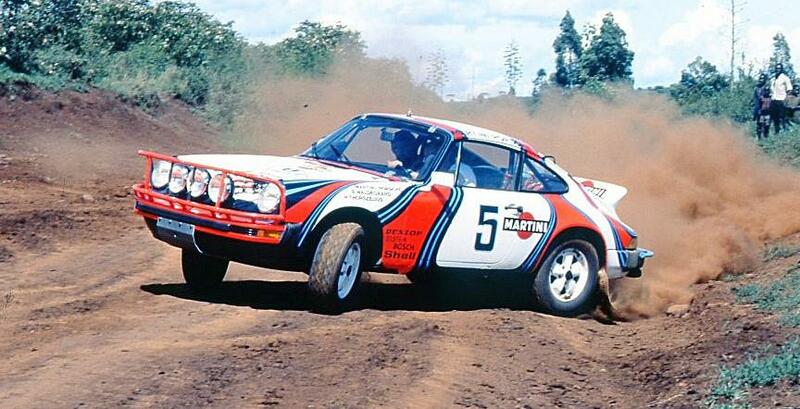 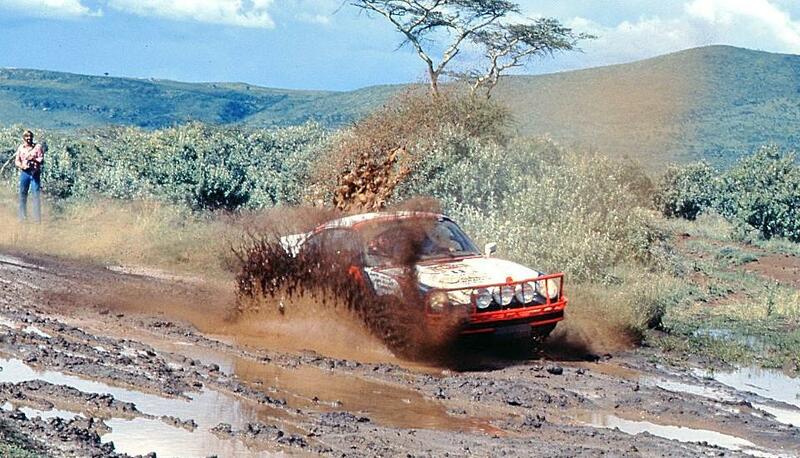 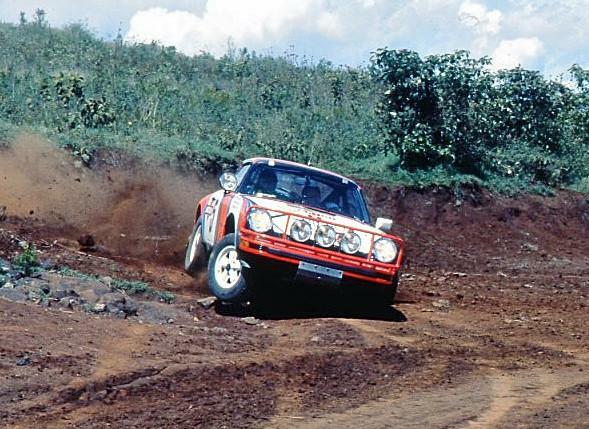 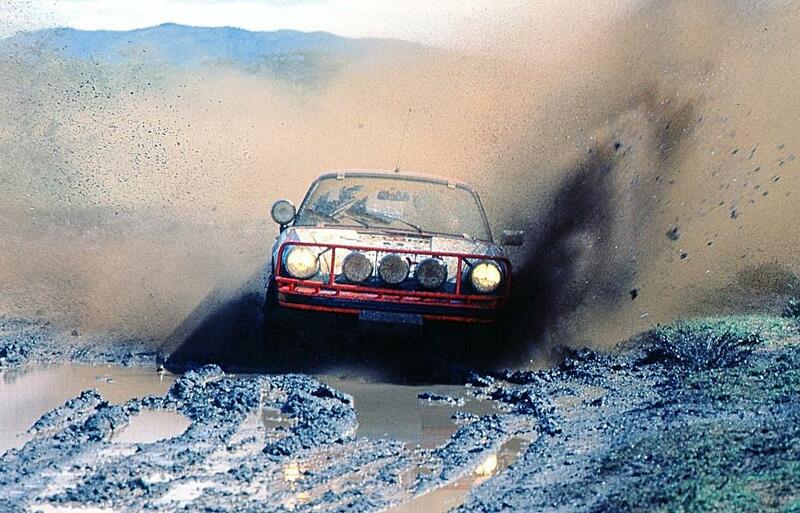 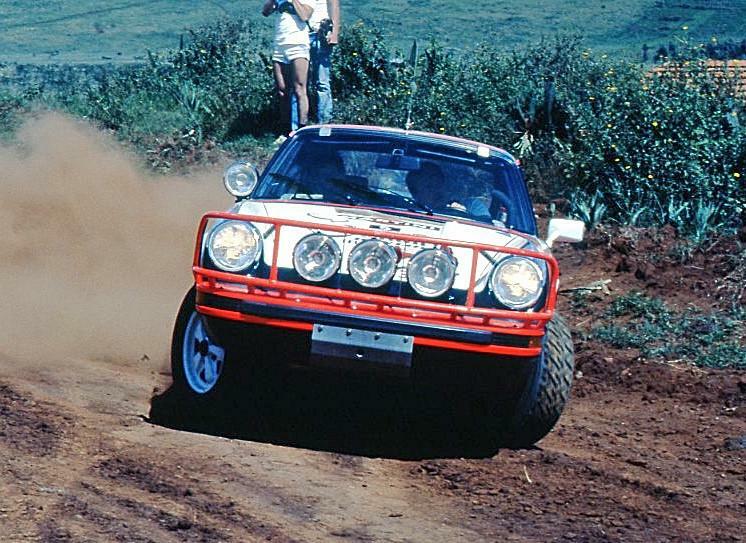 Some further illustration of the sort of treatment that the car had to put up with on the rally that year. 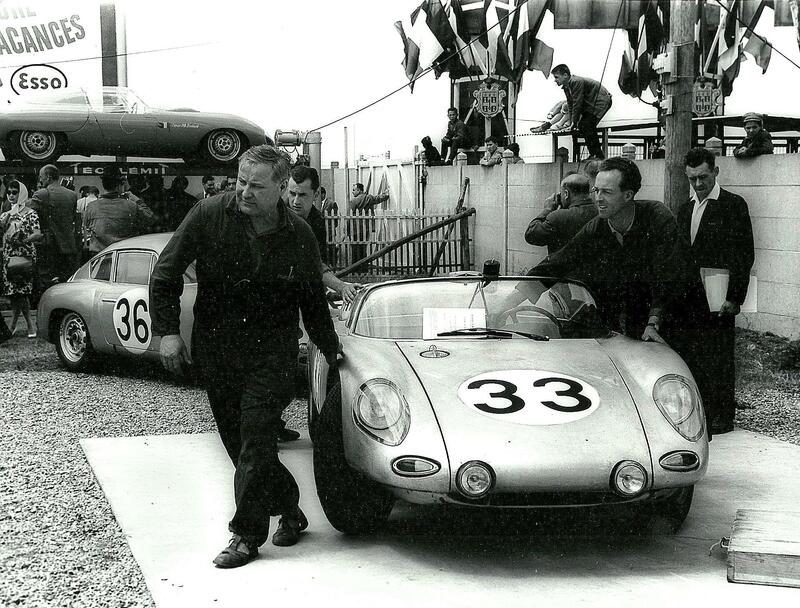 Le Mans scrutineering in 1961, where we see two very different factory entries (plus a DB-Panhard on the lift). 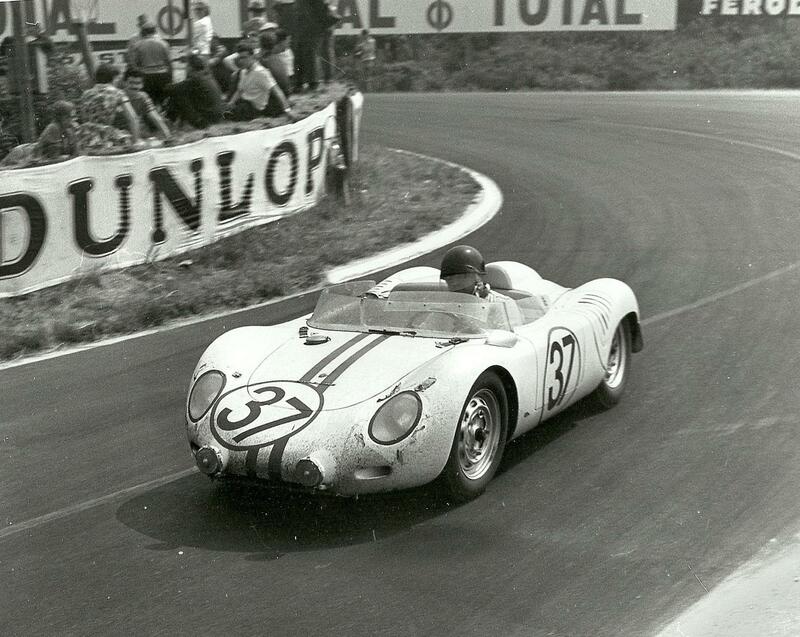 No.33 is the 718 RS61 (#047) of Americans Holbert/Gregory which finished 5th overall and 1st in class while No.36 is the 356 Carrera Abarth GTL (#1013) of Linge/Pon which finished 10th and also won its class. 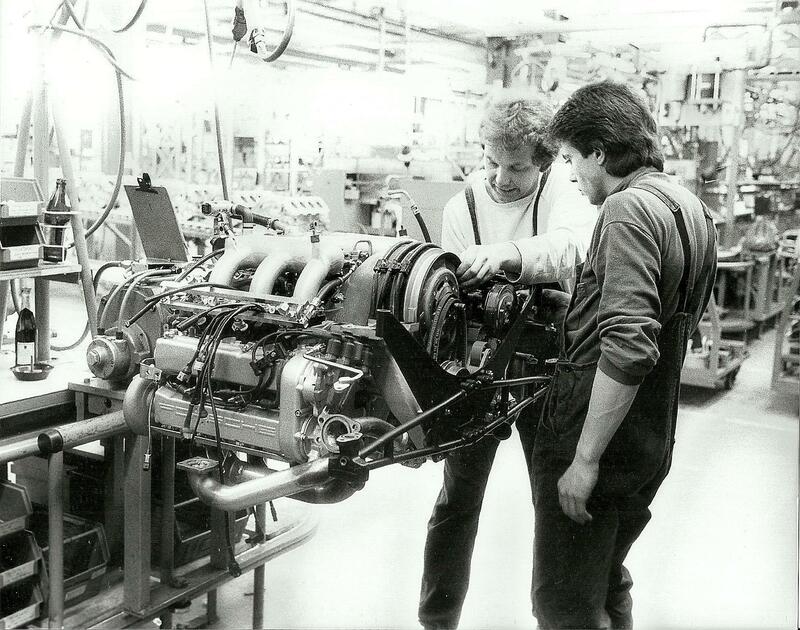 The factory workforce are seen putting the finishing touches to an engine, not just any engine though but one destined for a 959. 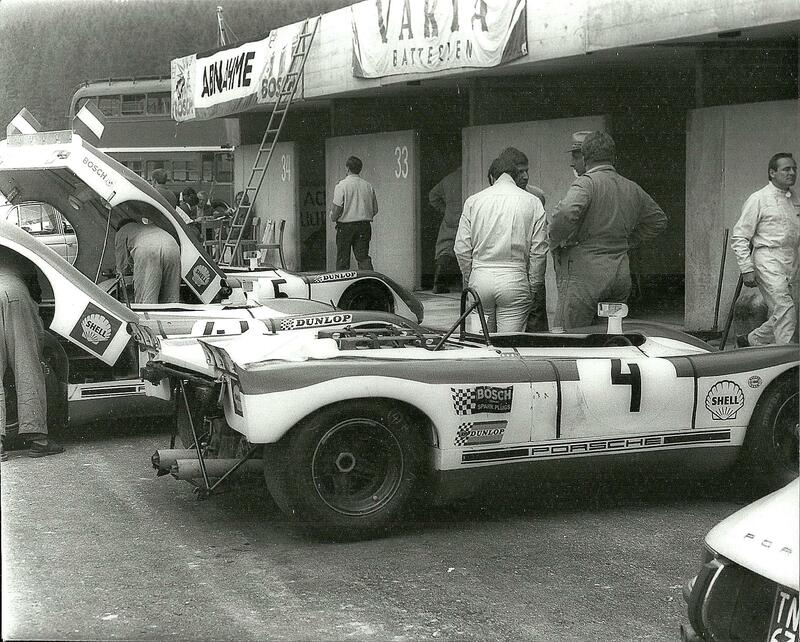 Those bottles, one in a holder, imply that engine building is thirsty work! 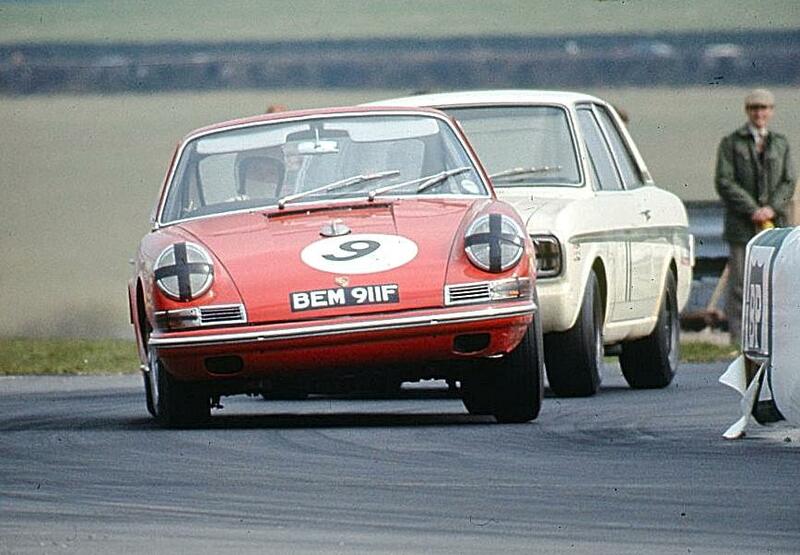 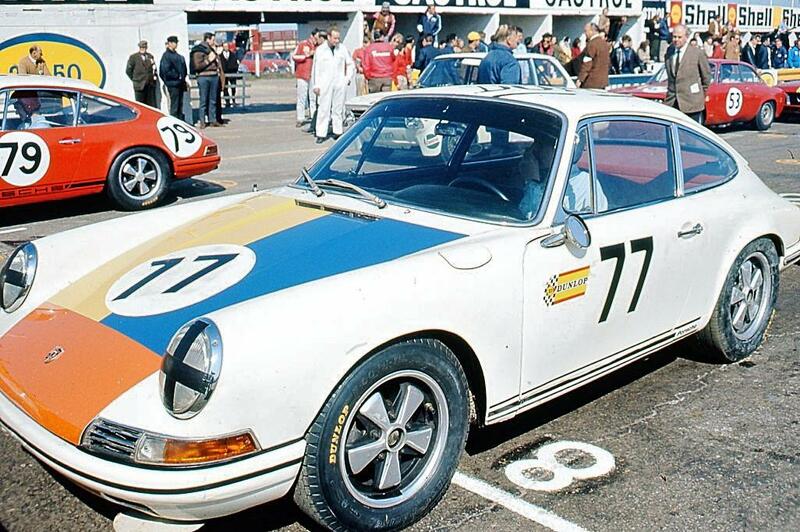 Awaiting the start at the Snetterton round of the 1968 European Touring Car Championship is the Scuderia Lufthansa 911 of Herman Dorner/Robert Schwarz. 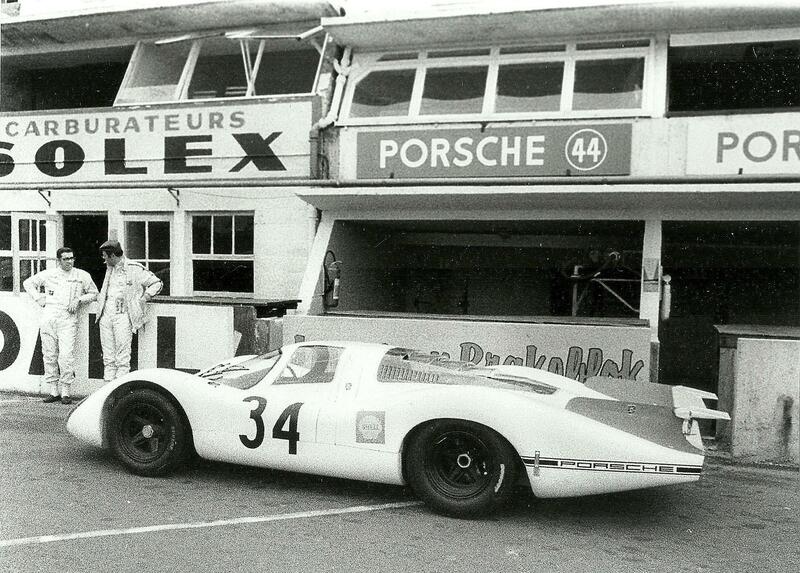 Their trip to Britain was looking worthwhile after practice as they were 6th on the grid, but a piston problem eliminated them very early in the race. 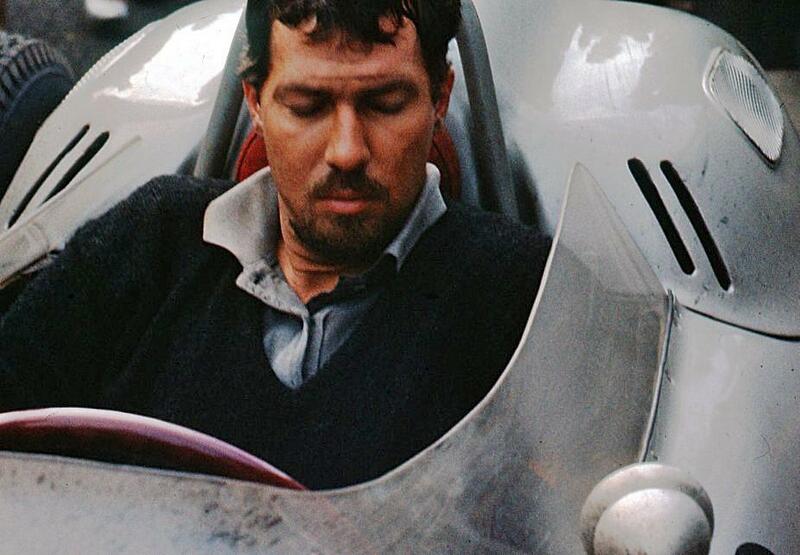 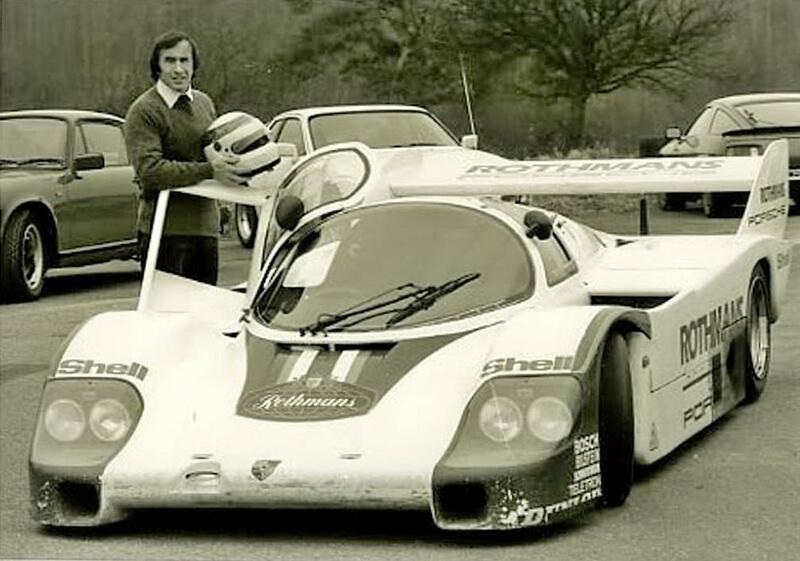 Swede Joakim Bonnier was unusual among racing drivers in having an academic background -he was even at Oxford for a year- but he began motorcycle racing in his teens and instead of entering the family publishing business he started rallying in his early twenties. 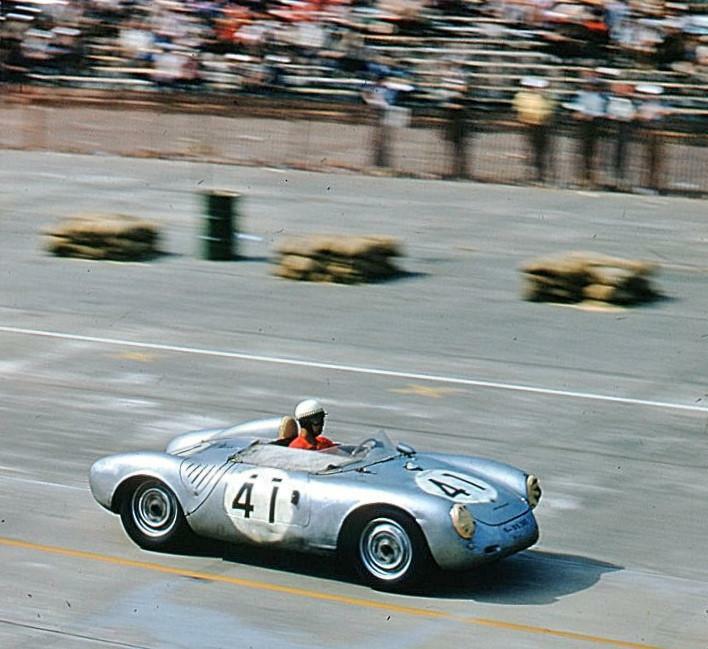 The Schell/Seidel 550RS looks generally a bit battered and bears some heavier NSF damage in this shot from the 1958 Sebring 12 Hours. 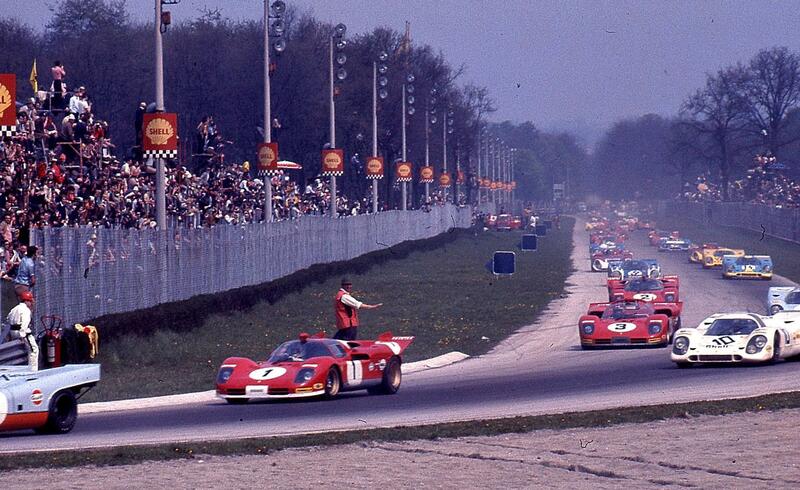 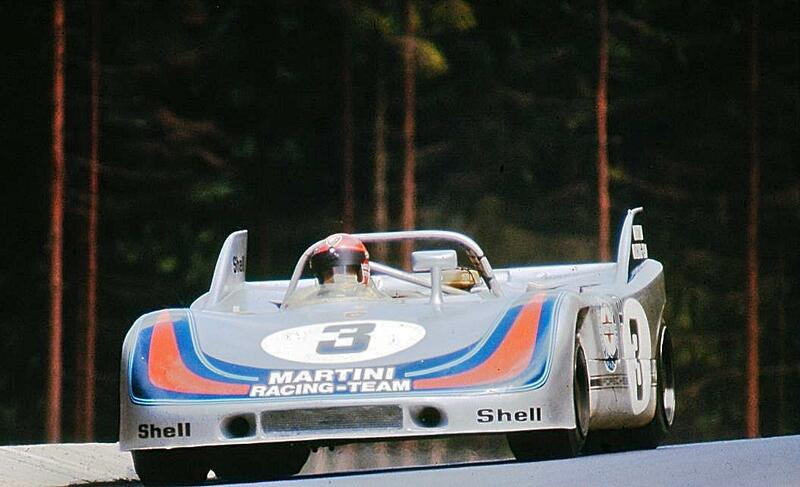 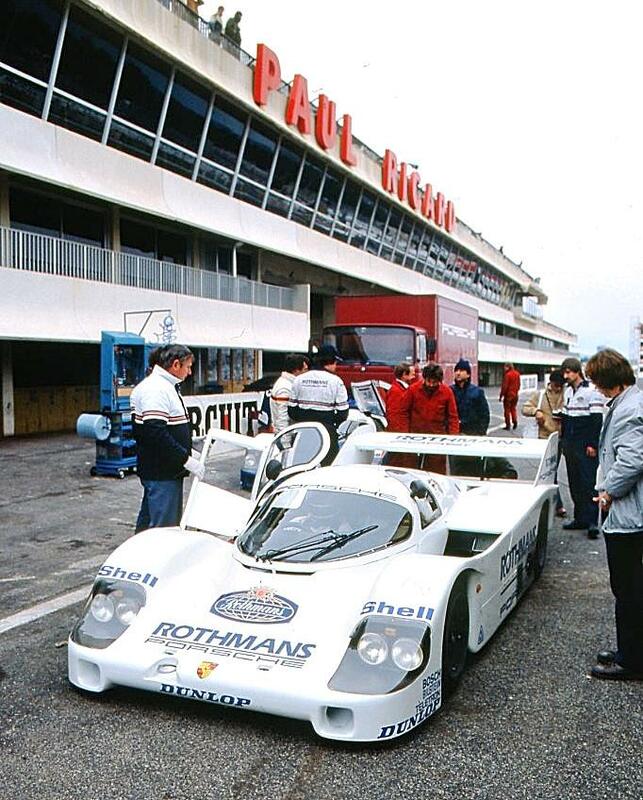 However, it was the most successful of the three factory entries, gaining 3rd overall and a class win to its credit.